When you're looking for a fireplace for your home, the Empire DVCD42FP70N Tahoe Deluxe Vent Fireplace is a great option. 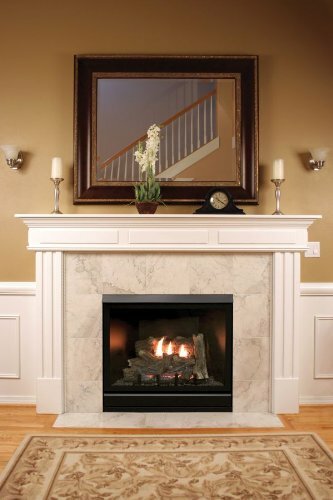 This fireplace features a 42-inch clean face with a black finish. The face will compliment just about any type of living area decor. The Tahoe Deluxe has an intermittent pilot ignition and creates up to 25,000 BTUs of heat which will be blown throughout your living area. So, when you need an easy fire to make your living space cozy and warm on a cool winter's evening, just fire up your Empire DVCD42FP70N Tahoe Deluxe Vent Fireplace and grab a soft blanket.